Surprise, everyone! the Kotaku The writer who loves Japanese RPGs and rhythm games is completely seduced by two rhythm games featuring beloved Japanese RPG characters. It's as if Atlus had created a pair of games just for me. You could love them too. Back in 2015 Atlus published Persona 4: Dancing all night, a game that took the stars of the role-playing game to success and immersed them in a mystery involving endangered J-pop idols. It's a mystery that can only be solved by dancing all night on music from Persona 4The stellar soundtrack. The game is fabulous, filled with joy and incredibly verbose for a rhythm game. In addition, it allowed me to make this awesome GIF review. Now we have Persona 3: Dancing in the moonlight and Persona 5: Dancing in the light of the stars, a pair of games for the PlayStation 4 and Vita (!!) that, although less burdensome than the story, continue to touch the joy generated by their predecessor. And they are both very GIFable. Instead of the visual novel style of Persona 4: Dancing all night, with its long intrigue and hours of text, the Persona 3 and 5 Dance games opt for a more condensed approach to storytelling. The stewards of the Velvet Room of each match, Elizabeth for 3 and the twins Caroline and Justine for 5, summon their respective heroes to Club Velvet to participate in a dance competition. The sisters are very competitive and, inspired by the events of Dance all night, decided to settle their differences with a dance contest. Once the intro is over, the story is presented in the form of small pieces called social events. These are short interactions, loudly, between the characters. These are usually pretty little sides that end with the player unlocking new costumes or game modifiers to make the dancing parties easier or more difficult. As social events require that players reach certain goals to be unlocked, both games encourage multiple repetitions of songs. Anne, for example, asks players to complete songs with different costumes in order to unlock her personal scenario. Others need combos or fights or get a number of Perfects – just hit songs. Elizabeth calls Elle-P in Persona 3: Dancing in Moonlight. In addition, Junpei is a dead man. Social events are a nice way to get to know the Character players a little better. Each character starts with five, with a little more unlocking once they are finished. Both games are a bit like spending time with old friends, playing rhythm games. Good rhythm games, with excellent graphics, so that those who do not play do not get bored. Those who play will not have time to soak up the view. 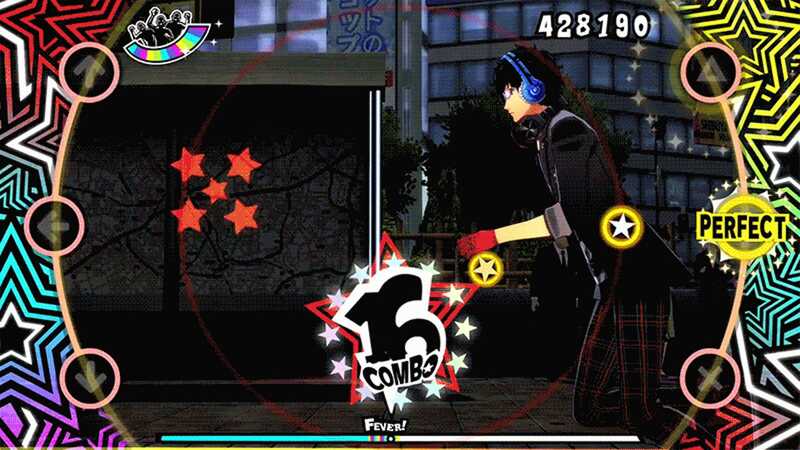 The circular track of Persona 4: Dancing all night back, players using the controller's directional pad and the buttons to hit the icons as they traverse the outer zone. There is no time to watch the dance while you play. Fortunately, both games offer the opportunity to watch a perfect computer controlled game. The games are not perfect. Some people may miss the deep story of Dance all night. Although both contain 25 songs (with a bunch of downloadable content in DLC format), the track lists are very heavy remix – there are three different versions of "Burn My Dread". But go in Persona 3: Dancing in the moonlight and Persona 5: Dancing in the light of the stars with a light heart, and you are sure to be delighted. Maybe not as much as me, but close.